Can’t decide? 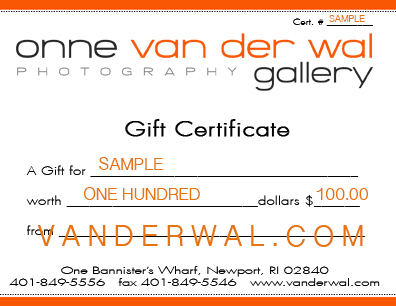 An Onne van der Wal Gift Certificate is the perfect gift! Available in any denomination, you can order directly online, or call the gallery if you would like a different amount. Our gift certificates do not expire and they are non-transferable. Gift Certificates can be used for purchases in the gallery, online or over the phone.